JAMMEH, OUSTED GAMBIAN SIT-TIGHT RULER PLANS LUXURIOUS EXILE ~ I am a Writer Too!! has stolen millions of dollars in his final weeks in power, plundering the country's state coffers and shipping luxury vehicles by cargo plane in a last minute planned luxurious exile. A special adviser for the new president said on Sunday. Mai Ahmad Fatty had told journalists in neighboring Senegal that already they have determined Jammeh made off with more than $11.4m during a two-week period alone. 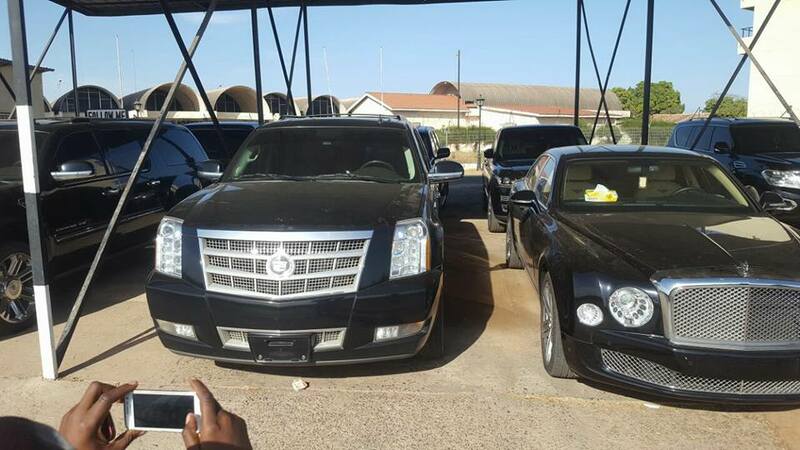 Prominent Gambian media house, The Gambia Today -has shared photos of cars purportedly stolen by Yahya Jammeh before stepping down. Jammeh, who ruled this west African nation for more than 22 years, went into exile late on Saturday under mounting international pressure. He is now in Equatorial Guinea, home to Africa's longest-serving ruler.